Only a few clicks and every production order becomes a complete package. During production planning, your colleagues rely on a great deal of information to control production efficiently, which SAP documents are unable to deliver. But our SEAL system process printing solution can. It creates your production orders into a valuable compass for the shop floor. … and seamless integration into the SAP standard. Nothing changes for the user! Do you want to output your production orders (FAUF) from SAP PP with all linked documents from SAP DVS or services to an object? Then you are in the right place, because SEAL Systems’ proven solution can do just this! Automatically and in the correct order. And at the same time, integrate seamlessly with the standard SAP process. Nothing changes for the user! Standard SAP procedures remain as they are. As previously, document printing takes place when the orders are released. And this applies, of course, to single, collective and batch operations. Collecting, stamping, converting, barcodes – everything is simple! 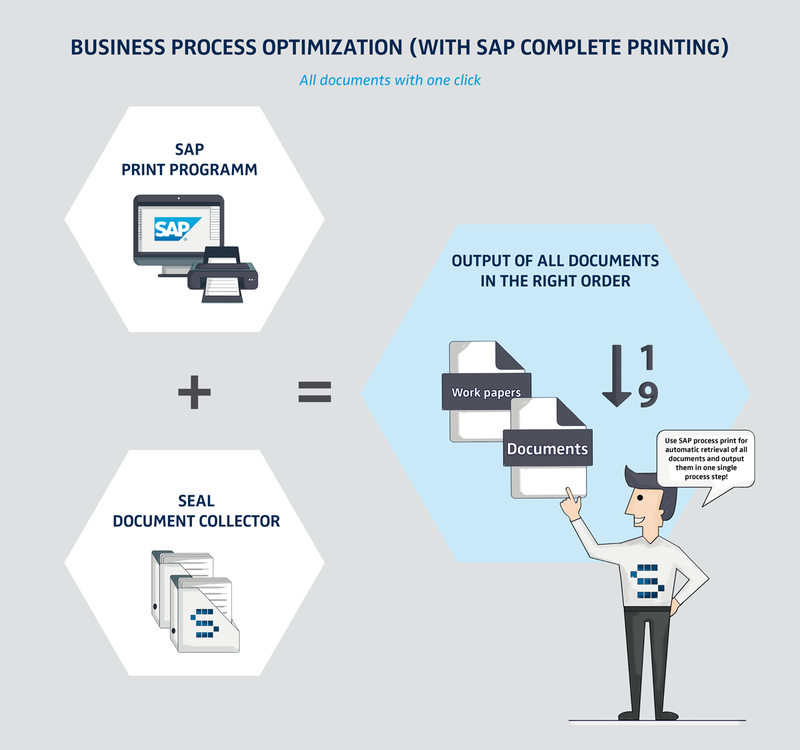 Our process printing solution for manufacturing in SAP brings together all collected forms and documents in one package and provides the output device with additional information for output, such as: stamps, watermarks and information. It covers the following transactions: Production orders (CO02, CO04N, CO41) and process order (COR2). The package is then subsequently transferred to our reliable output management system and from there to the printer as a stack, stapled together if required. An advantage of using our output management system is that barcodes can be output on any printer, even if the printer does not have a barcode module. Further information on our output management solution can be found here. 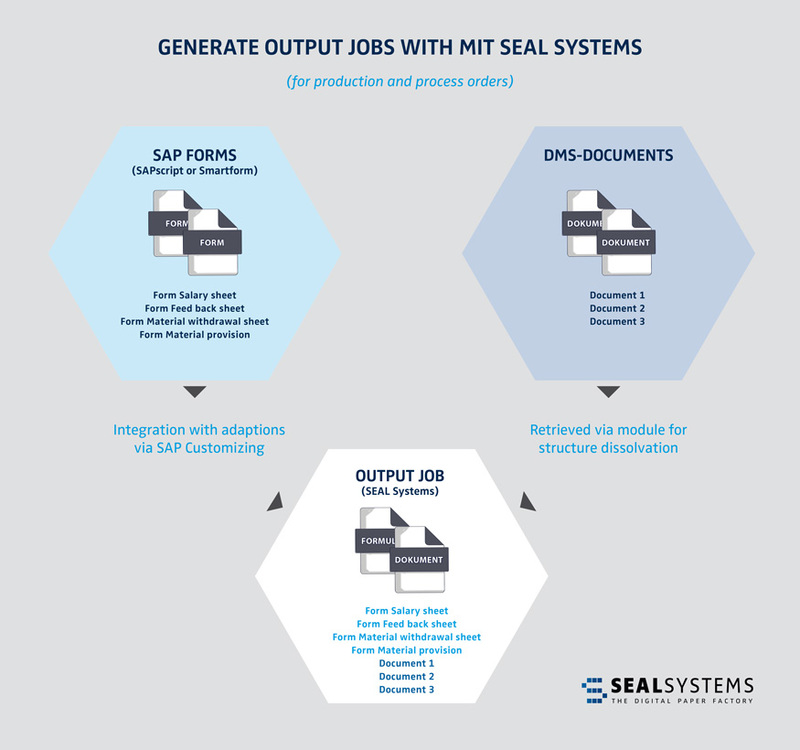 All workplace information is up-to-date – with SEAL Systems, you can take the leap to paperless production. Employees can see all necessary order data on the screen. 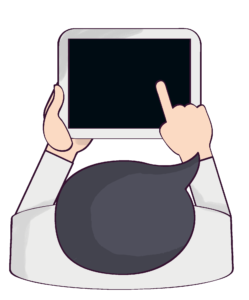 In dialog mode, additional information such as drawings, pictures or 3D views can be quickly requested. Or for when it gets more complicated – a short video can say more than a thousand words (and overcome language difficulties). You can find further information on paperless production for SAP here. Interested? We would be happy to provide you with more information, an on-site visit or an online demo.